A Facebook friend of mine linked an opinion piece from the Denver Post, and I think it illustrates why so many children today are messed up. The author (Daniel Brigham) writes that he and his wife are expecting their first child. They already call her “Lucy,” and their friends have been asking them how they will educate their child. His response is very troubling. He says he used to teach at the University of Colorado Boulder for more than a decade, so unlike many, he knows about the benefits of homeschooling. He acknowledges (as anyone with intellectual honesty must) that homeschooled students are academically advanced compared to students from public and private schools. Studies clearly demonstrate this, and his experience with one homeschool graduate while he was teaching at the university level is consistent with those studies. He also acknowledges that homeschooled students are not at any social disadvantage compared to their peers. At this point, he reminds me a lot of myself more than 15 years ago. While I was on the faculty at Ball State University, my best students were the homeschool graduates. My experience with them caused me to look at the studies that had been done on homeschooled students, and those studies confirmed that homeschooled students are, indeed, academically superior to their peers and suffer no social disadvantages compared to their peers. I took such information to heart and began homeschooling my daughter once we had adopted her. Mr. Brigham, however, has decided against homeschooling his daughter. If he knows that homeschooling offers academic advantages with no social disadvantages, why has he decided not to homeschool her? Ultimately, for us it comes down to not wanting to take on the additional responsibility or sacrifice the income, free time, and sense of accomplishment we get from succeeding at vocations we know and enjoy. So…despite the fact that he seems to realize that homeschooling is the best educational option for his child, he has decided (before she is even born) that she just isn’t worth the sacrifice. After all, she is only his child. Why should he or his wife sacrifice a great lifestyle, a lot of free time, and a successful job just to give her the best education possible? Now don’t get me wrong here. I am not saying that because they won’t homeschool their daughter Mr. Brigham and his wife must be bad parents! There are many factors that go into the decision of how to educate your children. For some families, homeschooling really isn’t the best option for a variety of reasons. I would never, ever tell you how you should raise your children, and please do not tell me how to raise mine. What I am saying is that Mr. Brigham and his wife have decided not to homeschool for precisely the wrong reasons. I don’t know much about being a parent, but I do know this. If you ever have several options to choose from when it comes to your kid, choose the one that is most difficult for you. It will be the option that is best for your kid. That’s what real parenting is all about. If we love our children, we don’t choose the path of least resistance. We choose the path that is best for them, regardless of the sacrifices that must be made. Ever since I started working with home educators, I have seen first hand what happens when parents sacrifice in order to provide their children with a superior education. Sometimes, the children squander that precious gift and start down a path that is anything but pleasant. Most of the time, however, the children simply thrive. They grow and mature into young adults that can truly change the world! I am so blessed to have the parents I have. Seriously…Not many are willing to give up their time so their kids can have the ultimate experience in education, and I have many friends who wished theirs would’ve. Don’t take it for granted. It’s one of the greatest gifts you’ll ever receive! I sincerely hope that Mr. Brigham read’s Sharnessa’s words before his daughter reaches the age of five! Sadly, I feel like this attitude in parenting is a growing trend. I’ve seen it myself VERY close to home, unfortunately. While I think you are right that some people have kids to have someone to love and to receive love from, I think there’s more to it. Society expect you to graduate, get married and have kids. It’s what’s expected. I think sadly, a lot of people have kids because they think they are supposed to. Certainly there is a growing trend of couples who simply decide that having kids is not for them, but most still think it’s just what you do. While I’m sure they have conversations and make the decision, do they ever really consider the option of just… not. As you know, I fall pretty strongly into the category of people who has decided I probably will not have children. Many people seem to consider this as a selfish thing. And frankly it is, but I feel it would be FAR more selfish to bring a child into the world if I’m not going to commit sacrificing money, time, lifestyle, sleep, social life, etc to make sure that child gets the best… especially with regard to education. If you choose to have a child, you’re making a life long decision. Sadly, most people don’t look at it that way. Most parents are relieved when their kids reach school age so that they don’t have them at home 24/7. Mr. Brigham’s comments are exactly what I expect. We are a selfish people. We are a conforming people. We like things to be easy. When “two roads diverge in a wood,” it’s scary to heed Mr. Frost’s advice. Black Sheep, this is why I wish you would comment more often! That article reminds me of the mindset that is pervasive in our news media and advertising for back-to-school. The back-to-school ads make it seem so great for the kids to go back to school, so the parents can “enjoy” themselves. Personally, I enjoy having my children with me. The day we started homeschooling, after having a child in public school for 4 years, I felt like I had gotten my child back. That was ten years ago, and I know that homeschooling was the best option for my children. Certainly, my husband and I have sacrificed to teach them at home. At the same time, we have been incredibly blessed with children who love the Lord. Five of our six children hae accepted Jesus as their Saviour. We can help them grow in the Lord by teaching and training them at home. But, this Mr. Brigham is inexcusable. And to publicly make a statement like that! I hope his wife has more of a head on her shoulders… and I hope that when he sees his baby for the first time, he’ll find a reason to change his mind about her worth. I couldn’t agree more, Lydia! Doesn’t this apply to most children, regardless of educational setting? Eric, I don’t think that statement applies to most children, regardless of the educational setting. Indeed, it seems to me that most students I see from the public schools are heading down the path that is not pleasant. Thus, I would say that for public schools, the proper statement would be, “Sometimes, the children simply thrive. Most of the time, however, they start down a path that is anything but pleasant.” Thus, students CAN thrive in public school, but I don’t think it is true for the majority of public school students. For Christian schools, it would be very hard to make a blanket statement. I have viewed Christian schools for which the statement I just made would be accurate, and I have viewed Christian schools for which the statement in my post (most thrive) would be accurate. For homeschools, however, based on my observations and the studies that have been done, the statement in my post (most thrive) is definitely accurate, and that sets homeschooling apart from the other standard modes of education. Yikes! What a bleak outlook! Dr. Wile, you really believe that “most” kids who attend public school are headed down a path that is not pleasant? I won’t debate that there are probably more than in homeschools and even Christian schools, but “most.” That statement seems harsh. I attended public school (because my parents didn’t love me enough to homeschool me – that’s a joke btw!) and have LOTS of friends who have more than thrived. Many of my high school friends have advanced degrees, a few have gone into the music industry and toured internationally, one with his own band, some have pursued careers with non-profits like the MS society and the humane society and are now giving back to the community through their jobs. Do I have a couple friends who had their first kid before we graduated or within a year or so after, yep. Overall though, MANY have thrived and MOST are living a solidly pleasing life (average by our standards) and a few have followed a less than pleasant path. We all get that homeschooling is great… but let’s not hate on the public-schoolers! We can be successful too! Black Sheep, I think it is a realistic outlook. I really do believe that most kids in public school are headed down a path that is unpleasant. Some of them will turn that around once they reach adulthood, but I cannot imagine how you can look at our public schools today and say anything else. You have lots of friends who have more than thrived because you (and your friends) had parents who loved you enough to deter you from the very negative influences one gets in the public schools, especially from the peer group. Remember, I went to public school, and I thrived. I have many friends who went to public school. Some of them thrived, some are now thriving DESPITE what happened in school, some are still on an unpleasant path, and some are dead. I cannot base my assessment of things solely from my experiences and the experiences of my friends. That is too limited. To make such conclusions, I look at what I can see of society as a whole, and what I see from our public schools as a whole is not pretty. I would hope you understand that I am not “hating on” public schoolers. Indeed, as I say in my post, homeschooling is definitely NOT the right choice for all families. For some families, public school is the right choice. What I said in the post is that you have to make the choice based on what is best for the child, not what is best for the parent. What I said in my comment is that public school is an environment that makes you LESS LIKELY to thrive. As a result, if public school is the right choice for your child, you have to work at getting rid of the negative influences that are a part of public school. If you do that, your child can still thrive. Even if you don’t do that, it is still POSSIBLE for your child to thrive. It is just less likely. You just have to realize that a public school education is fraught with more perils for the student than a homeschool education, and you have to deal with those perils accordingly. One more thing: I have a question for you, Dr. Wile. You said, “For some families, public school is the right choice,” and then, “What I said in my comment is that public school is an environment that makes you LESS LIKELY to thrive.” How do you find that something that makes a child less likely to survive is the right choice as to the best for your child? Hi Lydia. In answer to your question, I think you are applying the term “less likely” in a way that is not the way I meant it. When speaking ONLY of the educational environment, I can say that public school is the environment in which students are less likely to thrive. However, there are MANY OTHER FACTORS that determine whether or not a child will thrive. If a child belongs to a family that really isn’t cut out to homeschool – and there are A LOT of those kinds of families – then THAT CHILD will not thrive in a homeschool setting. Thus, for THAT CHILD, considering all factors leads to a decision to publicly school the child, even though for MOST CHILDREN, homeschooling would be the best choice. Nevertheless, if public school is the best choice for your child, you still have to realize that there are many negative factors inherent to the environment that make it so that most students are less likely to thrive there. Thus, you must deal with those factors appropriately, even if public school is the right choice for your child. Ahh, I see. Thank you for answering so quickly! I see my mistake. This does make sense. Do you find that there are any negative factors for homeschooling? Excellent question, Lydia! The answer is yes. Some of them are a bit trivial. Homeschooling generally results in the family having less money. While that is a trivial negative, it is still a negative. Also, homeschooling generally results in tired parents. Once again, this is rather trivial, but day in and day out it can really build up to a huge negative if something isn’t done about it. There are some non-trivial negatives as well. Because students are not exposed to as broad a range of ideas in homeschooling as compared to public school, the student can develop some rather narrow-minded views. I encounter this quite a bit among homeschooled students. While doing homeschool co-ops can help mitigate this negative, it cannot get rid of the negative, since even your homeschool co-op has a narrow range of views compared to a public school. Thus, I think homeschooling parents must strive to expose their students to a broader range of views than they might be “comfortable” with so that the student doesn’t develop into a closed-minded individual. At least one other nontrivial negative of homeschooling is that students don’t have a day-to-day “role model” for the various subject matters. Many students are inspired to study a subject by a particular teacher, and they end up blossoming under that teacher’s tutelage. Since the number of “teachers” that a homeschooled student studies under is limited, it is possible the student will never be inspired by the role model that would help the student find his or her calling. Once again, that can be mitigated by homeschool co-ops, having the student “shadow” certain professionals, etc. Nevertheless, it is a negative. Now, of course, for most students, these negatives do not outweigh the positives of homeschooling. However, homeschooling parents do need to address them. Lydia, thanks for the support! I honestly can’t disagree with much of what you said. Just the word “most.” Lydia brings up an excellent point, that sadly the bad news is what we always hear about which makes it seem that “most” public schoolers are headed down a bad path. I just can’t be that pessimistic about the future of our world. Your comments about the negatives of homeschooling are quite interesting. Certainly the most concerning point, I believe, is the narrow view points that are developed. I would add that there are some parents and kids that just aren’t cut out for homeschooling. I can’t imagine if my parents had tried to homeschool me. I absolutely adore my parents, but I can’t imagine having spent and extra 8 hours/day with them, or my siblings for that matter. I probably would have received a better book education at home, but I think the other things I gained from my public education actually out weigh that additional knowledge. Hear me out!!! The additional book knowledge probably would have helped me score better on the SATs etc. But in the end I don’t think a home education would changed my choice of college or major. Since I was accepted to my first and only college choice, who cares about SATs? That book knowledge would not have done much for me. Now, the rest of my experience in public school, I actually loved high school. I know that right there qualifies me as clinically insane, but whatever!!! I learned incredible discipline, commitment, and the importance of team work during my years playing softball and in the marching band. (Also, my parents couldn’t have taught me to play bagpipes and while they could have hired a tutor, they never could have afforded to buy me my own set of pipes). I also learned how to deal with (at the time) heart wrenching emotional dilemmas, like being thrilled for my best friend when she was cast as the lead in the school play while dealing with the heartbreak of getting not the part myself. The list could go on and on. I know full well that homeschoolers can have experiences like these as well. I know in some states the public schools are required to allow homeschooled students participate in sports, band, choir, etc. I even have a friend whose homeschooled son was elected the team captain of the public school football team. But I think those stories are more the exception than the rule. I can see a lot of benefits to homeschooling, but I also completely understand why some families decide homeschooling is just NOT an option for them. Well Black Sheep (and Lydia), we can certainly agree to disagree on whether or not “most” is the right word to use there. I certainly agree with what you are saying – homeschooling is not the right choice for everyone. In addition, public (or private) school is definitely the right choice for some. The key is to make the decision for the RIGHT reason: what is best for each child! I reblogged this: http://family.bob-space.com/2010/08/why-sacrifice-shes-just-our-daughter.html. Very good commentary – I hope Mr. Brigham changes his mind, it’d be sad if he missed the opportunity. Maybe to clarify what Dr. Wile is saying: Every person is different. They have different interests, different likes, different dislikes, and different personalities. Every family is different too. Taking in all of those differences and aspects, evaluate which attends to your child’s differences and needs best. Then evaluate which would work for your situation in life. Then choose: public school, private school, private tutoring, or homeschooling. Whichever one chosen, if it is the most satisfactory to the needs and differences in the child, is the BEST choice. In my family, homeschooling is the BEST choice for me because I reach for higher standards and have bigger goals than what the school district can provide (not tooting my own horn or anything), but my sister, who is not reaching for huge accomplishments and needs a different environment will find that Christian school may be the BEST choice for her… Do you see my (and Dr. Wile’s) meaning, Black Sheep? We’re a homeschool family who is thriving (and enjoying our science curriculum immensely! btw). You are right about the negatives–we definitely have less money than we might, but I think we also benefit somewhat from that “negative” in our view of what is truly important and being more creative about how we spend our time together as a family as well as being very aware that our provision comes from God and what we have is His. I definitely get tired at times and have to make sure to take care of myself–mentally, physically, and spiritually. In fact, after a few particularly stressful years, we had the opportunity to put our children in a very good private school and decided to do that so I could have a little bit of time to recharge my batteries. I’ll admit that it was nice to have more time for myself–to spend some time with friends and reacquaint myself with some hobbies that had fallen to the wayside in our busy school life. However, we absolutely hated what it did to our life as a family! The kids were gone all day and when they came home they were hungry, tired, and had a ton of homework. So our evenings were consumed with getting ready for the next school day. My husband is a minister, so weekends and holidays are busy. We are used to having down-time at unusual times in the week or year and that doesn’t work when you’re tied to a school calendar. And then there were all of the school activities that I was expected to attend or help with. My three children were all in different age divisions of the school, so they were never doing the same thing at the same time and I found myself busier than ever just doing what was expected of me as a parent for each of their classes and activities. I also really missed having a good handle on where they were academically and developmentally. I didn’t have the contact with them and the knowledge of everything they were learning and where their difficulties were. I didn’t like that at all. When it was time to bring them all back home and homeschool again, it was a huge relief! I feel like I am so much more connected with my children. I know where they are in all of the areas of their lives. I can disciple them better. We have a much better family life and so much less drama and stress. They are free to move at their own pace, whatever that may be. And the richness that I can put into our curriculum can’t be matched at any school, around here, at least. People constantly tell me that they wish they could homeschool and I tell them that they certainly can, that I would be happy to help them get started. Then they break into a litany of reasons why it just wouldn’t work for them and, for the most part, they are just excuses, misconceptions, and an unwillingness to make the sacrifices to do this. Yes, there are sacrifices that must be made to homeschool, but the payoff is HUGE! I wouldn’t have it any other way. Our children aren’t posessions. They are God’s children who have been entrusted to our love and care. We have the opportunity to be good stewards of this gift. How will we choose to care for them? I love what your brother said. What wisdom! Thanks for the comment, Samantha. It is nice to read about your experience! 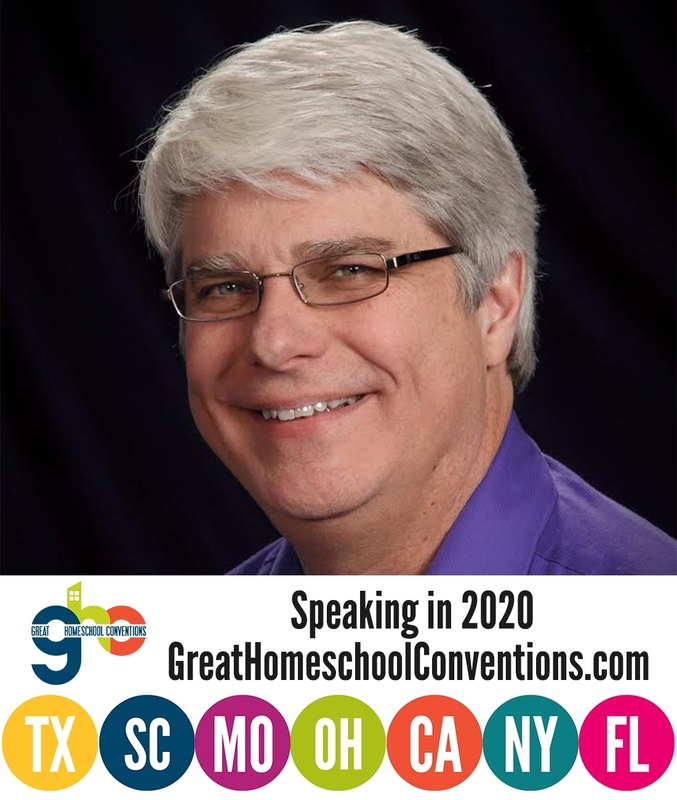 Dr. Wile, does any research you’ve looked at control for self-selection of homeschool students? That is, more homeschool students thrive because of other factors present before homeschooling: stable family, value education, children come first attitude, etc. At one point, he compares students who were homeschooled through part of their secondary education to those who were homeschooled throughout their entire secondary education. This, is my mind, is one of the best ways to control for the factors you mention. He shows that especially at the higher grades, the always homeschooled students are academically superior to those who were homeschooled only part of the time. Daniel Brigham and his wife say this NOW, about not homeschooling their child, but they may change their mind after the baby is born. Before your fist child is born, you really are clueless about how you are going to feel about that baby. I was a child of the 70’s, and was socialized through college to believe that if a smart, college-educated woman stayed home to raise her children, she was wasting her brains. So, when people would ask me if I planned to return to work after our first baby was born, I did not rule it out. But as soon as I held her in my arms after giving birth, I could not imagine leaving her. Homeschooling our own two sons was the most rewarding experience of my life, and, if the Brighams choose not to do it, they will be missing out on so much fun and fulfillment, and close relationship with their children. I agree so strongly with Adele and an earlier post you made, Mr. Wile, about holding your baby for the first time. I was a career Army Officer and I thought that when I was on maternity leave that I would learn to play golf (I’m sure you are all laughing). I remember so distinctly, however (and it will be 17 years tomorrow), at the moment of birth, the love that overcame me. I instantaneously knew the depth of my own mother’s love for me and even more, the deep deep love Jesus had for me. Only a Creator could program our minds to respond like that in the blink of an eye (hormones-great stuff). Needless to say, I didn’t learn to play golf; I did return to work but two years later after having my second baby the Lord called me to stay-at-home. Oddly, the idea of homeschooling was always in the back of my mind. The seed was planted by our childbirth educator who homeschooled her children. My point is that the seed has been planted in the Brigham’s mind and the love that will likely overcome them at birth and beyond may be the catalyst to move them toward what is best for their child, whether it be home schooling or not. Dawn, thanks so much for sharing from your life. I pray that the same thing happens to Mr. Brigham! Dr. Wile, this my first inkling that you have a blog! I am delighted to see you here, and double delighted to see that you interact so frequently and easily with your readers. I read about your issues leaving Apologia. I think everything has been said in that department, just letting you know that we admire your wisdom in the matter, even though all may not have gone as you planned. I have to thank you for completely removing my anxiety about high school for my oldest. She is is 15 now so we have her freshman year behind us and it was fantastic due to your books. She has an intense interest in science, particularly forensic anthropology and archaeology. I was worried at what I could provide to challenge her while helping her find ways to intelligently express the authority of Scripture in the matter of origins. You have beautifully and met this need for us and we are grateful. You are her hero! Then I named her. She knew she would be homeschooled before she knew who she was. The funny thing is, I don’t think I knew it myself until I told her that day. Five kids later I have kept my word with God’s faithfulness. I am praying that Mr. or Mrs. Brigham are similarly moved. Glauvie, thank you so much for your very kind words. It truly does my heart good to know that I helped remove some of your anxiety about homeschooling at the high school level. Regarding Mr. Brigham, I join your prayer! Dr. Wile, thanks for the link, but when the abstract says “Because this was not a controlled experiment, the study does not demonstrate that home schooling is superior to public or private schools and the results must be interpreted with caution.” I don’t think this answers my question. And there must be more recent work than 1998. Home-schooling has rapidly changed in those 12 years. And as for the hsers stopping, do we know why they stopped? Seems like another self-selection. Eric, you need to read the full study, not just the abstract. Since controlled studies would be unethical with humans, this is the best that can be done. Given that those who even start homeschooling are already committed parents, this study really does address your concerns. Actually, studies indicate that the only real change in homeschooling over the past 20 years is that homeschoolers are even more academically superior to publicly schooled students. Dr. Wile, if I’m interested in if home school is better than public school, then the statement that the study doesn’t say that is enough for me. My point is that students that home school and then stop in high school are more likely to be doing poorer than the the students that continue through HS – that is, the home school isn’t working as well. So it is likely that when you compare the two groups, the HS Home schoolers will perform better, as they were performing better to begin with. As for big changes, Home schooling has dramatically increased in numbers, so it is likely the academic achievements of home schoolers are regressing to the mean. Eric, the study does, indeed, say that homeschooling is better than public schooling. The abstract simply says that the conclusion is based on statistical analysis and not a controlled study. This, of course, makes sense, since a controlled study would be unethical. Once again, you should actually read the study. You will see that at every grade level, homeschoolers outperform privately-schooled students, who in turn outperform publicly-schooled students. This is consistent with almost every other study done on homeschooling. The latest study of which I am aware (2009) shows that homeschoolers have not regressed toward the mean at all. Indeed, it shows that they are consistently 30+ percent ABOVE the mean. You can read that study here. These scores are slightly better than the scores from a similar study that was done in 1997. Thus, as I said previously, homeschoolers are actually getting better relative to the mean. People stop homeschooling for a variety of reasons, and it is rarely because the homeschooling is not working academically. Thus, comparing partially-homeschooled students to completely-homeschooled students is a good comparison to try to control the parent-related variables. That result agrees with most of the other studies – the longer you are homeschooled, the better you do academically. In order to claim that homeschooling is no better than public or private schooling, you need to cite some data that indicate that. Instead, all you are doing is trying to “explain around” the wealth of data out there that clearly show that homeschooling is a superior model of education. “You will see that at every grade level, homeschoolers outperform privately-schooled students, who in turn outperform publicly-schooled students.” Yes, I’m sure this is correct, but my argument is that this is the result of self-selection of the students. Do you agree that private-school kids enter school better prepared to learn and get much more support from their parents and likely have better teachers than public-school kids? I’m saying the same thing occurs with respect to home-schooled and private-schooled students. (with individual attention more than making up for trained teachers). Since there are no controlled studies, there is no way to prove I’m wrong. Regress towards the mean wasn’t a good phrase. I didn’t mean home-school students score at the mean or median, or even close. I agree home-school students score very well on tests and are generally good students. I just meant as sub-populations get larger, they are more likely to resemble the total population. It could be a drop from 95th to 90th percentile. And one seemed suspect: “Homeschoolers’ median family income ($75,000–79,999) closely spanned the nationwide median (about $79,000) for families headed by a married couple and with one or more related children under 18.” Families headed by a married couple isn’t the vast majority of public school students such as with homeschooling. The median household income for all households in 2008 was $52,000. Eric, I agree that privately-schooled students enter school better prepared because of parental factors. However, that does not explain the majority of the differences between privately-schooled students and publicly-schooled students. Studies that compare such students try to match demographics so as to reduce the effects of such factors, and the gap still exists. Also, as I said before, the very fact that when homeschoolers are compared to homeschoolers, those who stay in homeschool longer do better indicates that it is not all a result of the parents. You claim there is “no way to prove” you wrong. However, there most certainly is. Let’s just look at how well your hypothesis can predict the data. You clarified your prediction to, “I just meant as sub-populations get larger, they are more likely to resemble the total population. It could be a drop from 95th to 90th percentile.” However, that’s not what the data say. The data show a jump from the low 80’s to the mid 80’s over the course of 10 years. The quote you give from the study is in the introduction. The data produced by that very study show that the expectation is incorrect. As the data show, scores have not “lowered somewhat” but instead have RAISED SOMEWHAT. This, of course, argues against your idea that it is all parental factors. I agree that the hypothesis that homeschoolers excel because of parental factors would make you think that as homeschooling grows, test scores will go down. Instead, they have gone UP, which demonstrates how poor your hypothesis is – it’s main prediction is falsified by the data. I agree that families headed by a married couple do not represent the vast majority of public school students. However, families headed by married couples are the majority in private schools, and homeschoolers still outperform them. Thus, as you see, by any reasonable analysis, parental and family factors do not explain why homeschoolers excel. This is, of course, why knowledgeable educators like Brigham, who don’t even want to homeschool, accept the fact that homeschooling is the superior model of education. Dr. Wile, all of my hypotheses should be applied to peer-reviewed controlled study data. In the absence, of this, I would say “we don’t know”. I’ll step back and just ask about what you mean by the introduction vs. the data produced. The “final version” PDF is about 3 or 4 pages of text with some splashy graphics. The NHERI, which appears to be a one-man show, says that the summary was produced in August of 2009, but that the full report will be produced circa December 2010. Do you have something I can’t find? Eric, your hypothesis made a prediction about NON-CONTROLLED data. You specifically said that because the number of homeschooling parents is growing, the exceptional nature of homeschooling parents will be reduced and as a result, NON-CONTROLLED studies should show a decrease in the superiority of homeschooled students. In fact, the non-controlled studies say just the opposite. Thus, the specific prediction of your hypothesis is falsified by the specifically relevant data. You quoted the introduction to the study, which outlines the motivation behind the study. Thus, the POSSIBILITY that homeschooled scores might have decreased was one of the reasons the study had been done. The data presented in the study, however, showed that this did not happen. In fact, compared to results of a previous study done by the same author, the scores rose. Thus, while the possibility of lower scores were one of the motivations behind the new study, the new study showed that this possibility was not realized. I don’t have anything that you can’t find. I just have the results of the study, as you do, and those results compared to the previous study falsify the prediction of your hypothesis.